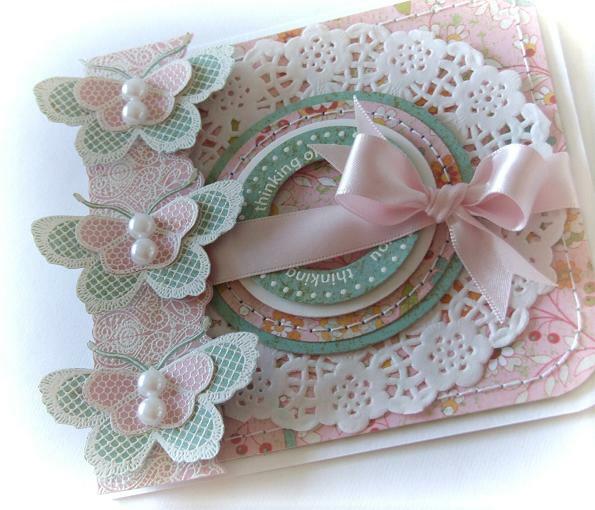 Ad Lib Paper from Bo Bunny. 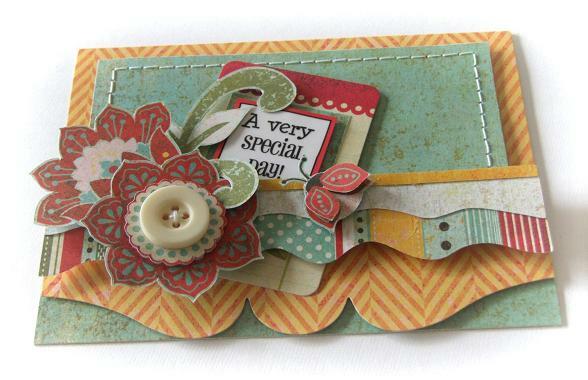 Ad Lib Wild Thing Paper from Bo Bunny. 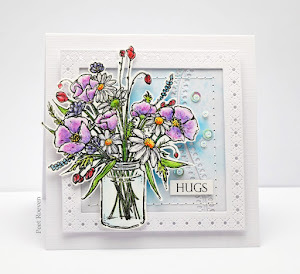 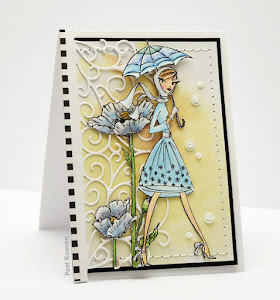 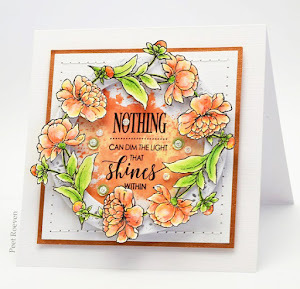 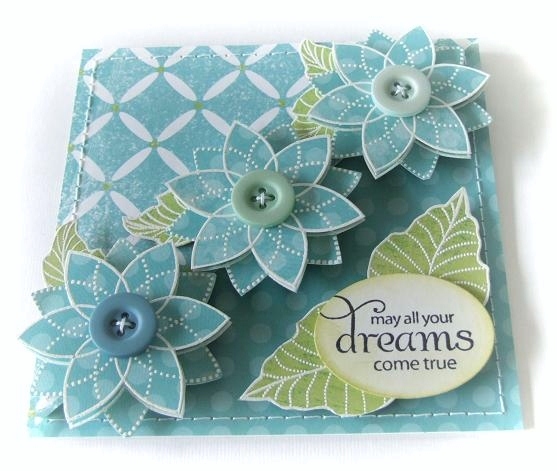 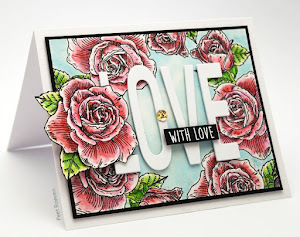 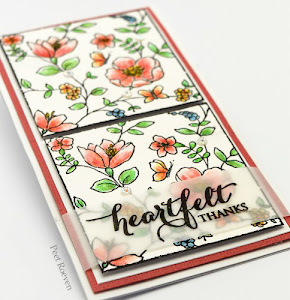 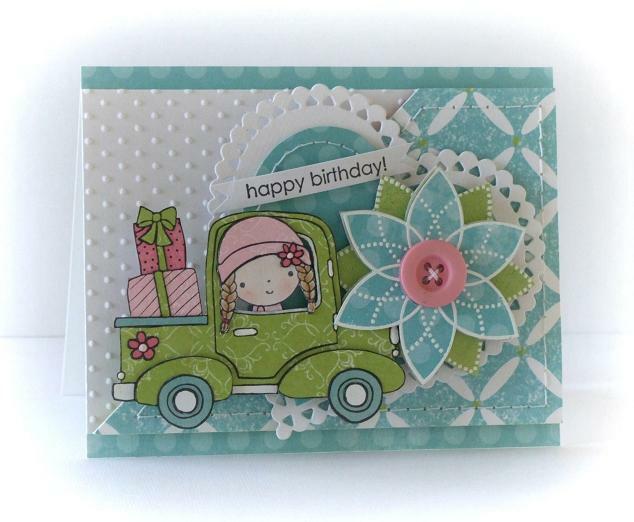 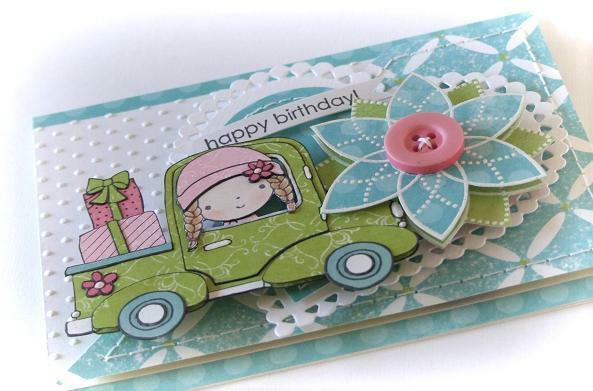 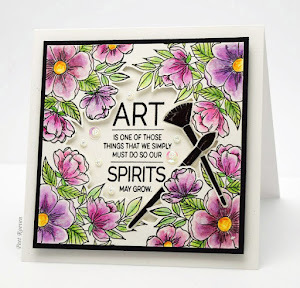 For this card was used Penny Black's new Petal Party transparent set. 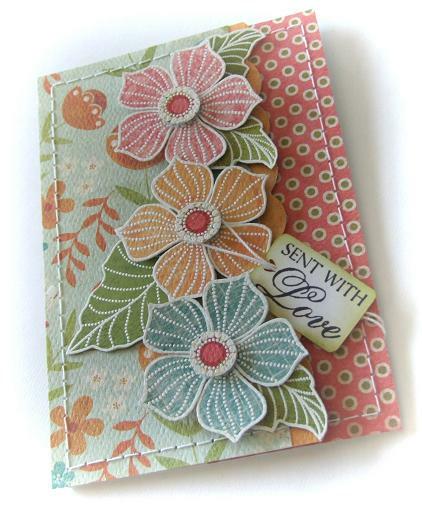 Flowers and leaves were wet embossed in white. 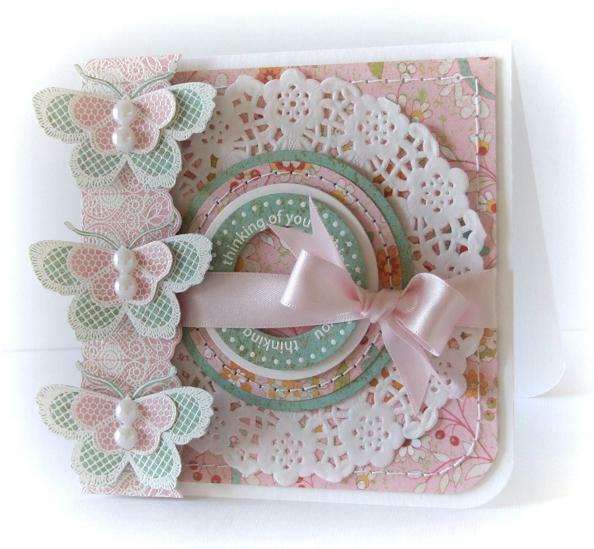 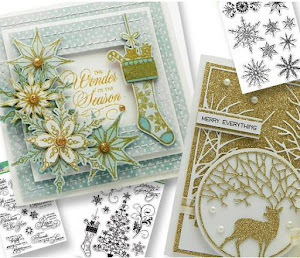 The sentiment is from Lace Delight set. 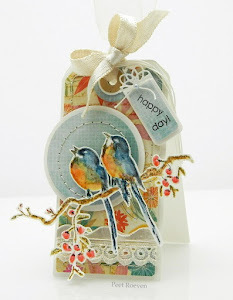 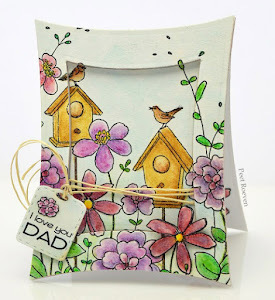 This month's challenge on the Pretty Little Ribbon Blog is to create a tag or include one on your card/project. 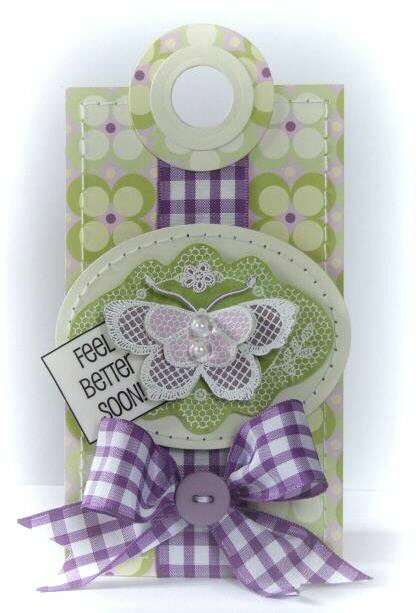 Purple Gingham Ribbon, Clear Dew Drops and White Pearls from The Pretty Little Ribbon Shop. 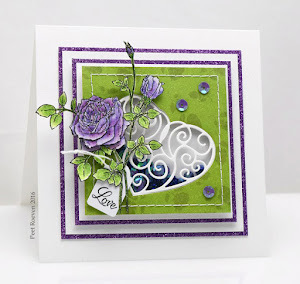 A Flight of Thread Slapstick/Cling Stamp from Penny Black. 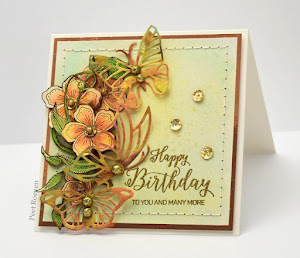 Pixie-Licous Paper from Cosmo Cricket.